I am starting to really love Lady V London. 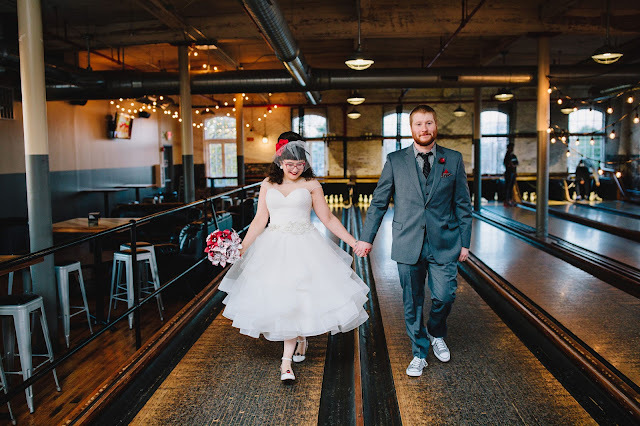 I've featured two of their dresses already on the blog and have really been impressed with their quality. 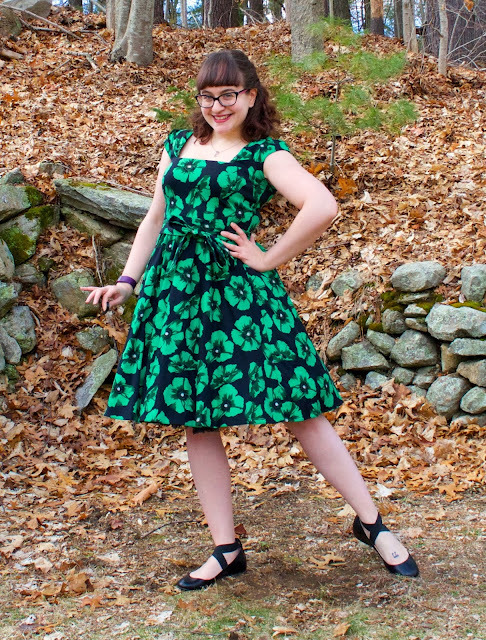 All of my dresses are well made, have super cute details, and are all a little different. I like that Lady V London has various styles of their prints on their site - I love choosing which cut I like better! Lady V London also has pretty reasonable prices and has sales pretty regularly. Their shipping is also pretty quick considering they are in Europe and that is always a plus for me! 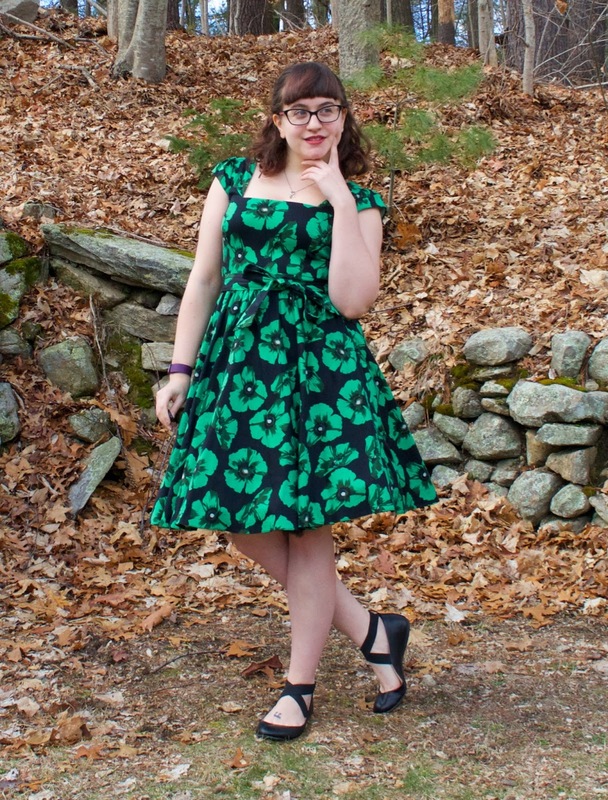 I don't have a ton of green in my closet but I am glad to add this one to my collection. I love the bright green poppies and how they pop. I also can't get over the cute little sleeves! It's all in the details! Side note, time for some real talk. Do any of my bellow style bloggers struggle with photographing their outfits for their blogs? I feel like when I do it, it's a constant struggle for me - whether it's my wireless remote shutter that won't take a picture unless it's directed just so at the sensor (it's the bane of my existence!) or it's the weather (can't every day just be slightly overcast) or it's finding a good spot that isn't getting redundant (I have a few spots on my property but get so bored of them and they all look ugly right now since everything is dead). Ahh! It gives me such anxiety whenever I have a post to photograph for. Hopefully I am not alone on this! OK, venting over. Back to St. Paddy's. Do I have any Irish readers? Do you do anything special for St. Patrick's Day? I do love me some corned beef and cabbage. Of course it's the food that's my favorite part of the holiday - what else is new? What a perfect dress for today! I love love love all your sass. I don't have anything special planned for today, BUT it is my parent's wedding anniversary :). 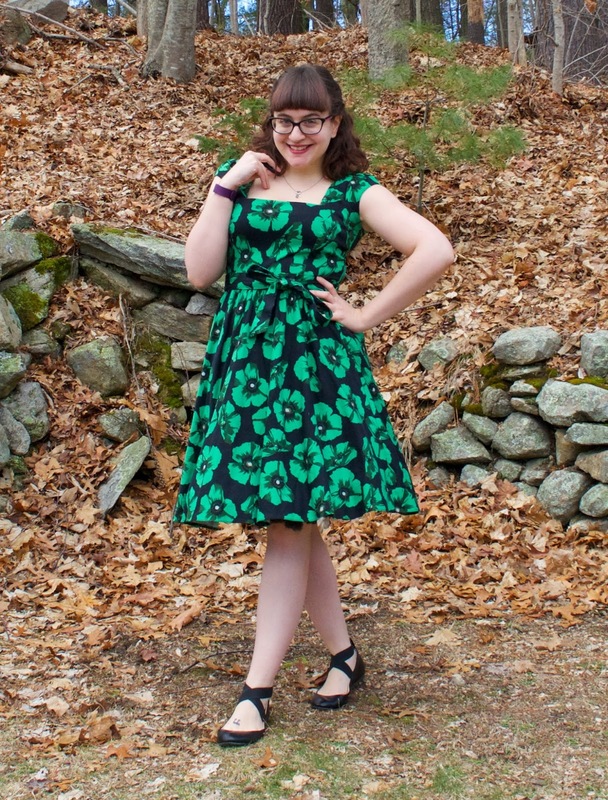 Such a cute St. Patricks Day look, even if you aren't Irish! And YES I always find blog photos a challenge, I find I also struggle with finding places to take photos. But Hey, if it helps I never tire of your photos, you always bring life to your background with your lovely outfits!! Terrific frock for March 17th! I'm not sure if you intended them as such, but I love how your shoes are redolent of classic Irish ghillies (totally festive coincidence, if it wasn't planned). I love the fullness of that skirt. I completely forgot it was St. Patrick's day and I feel that I failed as a blogger yesterday because of it LOL. Oh well. At least nobody pinches as much. Those shoes are lovely, too! Perfect outfit for the day! I'm a *little bit* Irish. Bob is more Irish than me, about half. You take great pictures! I wish I had more options for pictures, ha. When it gets warmer out, I'll start taking them outside again, at my apartment complex. But, there's no great backdrops there! What a lovely dress! Green looks so good on you, so it's good you're adding it to your wardrobe. Is that the Jessica Simpson flat??? I loveeee that shoe! I'm not familiar with this brand, but now I want to check them out! 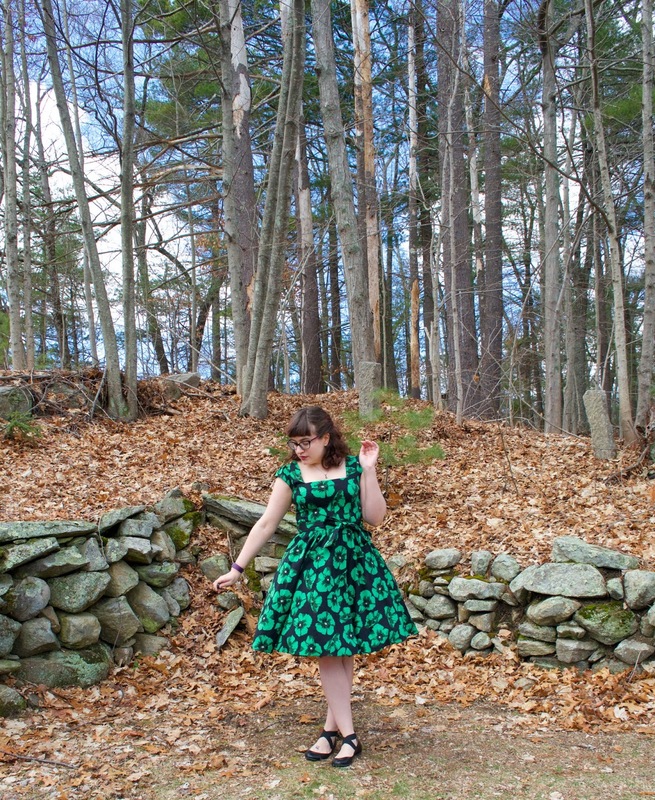 I love this dress, and the green color is so flattering on you!